This module is a new feature which will be available with the release of Dokan 2.9.4. With this module, you will be able to let your vendors set the wholesale price and quantity for their wholesale customers. Once you have set up all these, the Dokan Wholesale module will appear in the Dokan Modules. Navigate to the WP Admin Dashboard > Dokan > Modules. Next, find the ‘Wholesale‘ module from the list and turn on the toggle button to activate this module. After activating this module, you can configure this module easily. In order to get to the settings of the newly activated module, you will need to go to the Dokan → Settings → Wholesale. 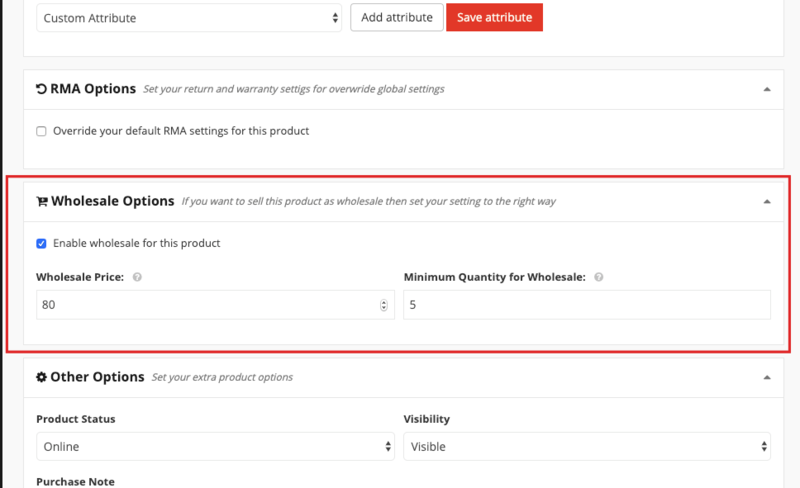 You can use this option to enable your vendors to restrict the set wholesale price to his / her customers. 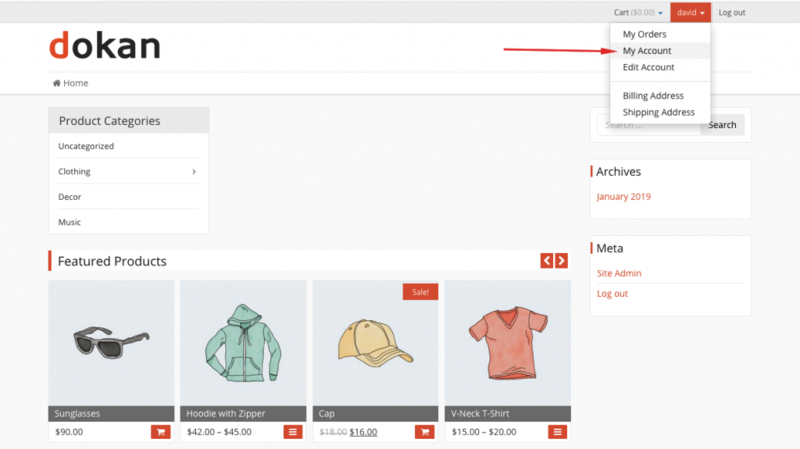 Display wholesale price to all users: When you enable this option, every user of a vendor's store can see the wholesale price. 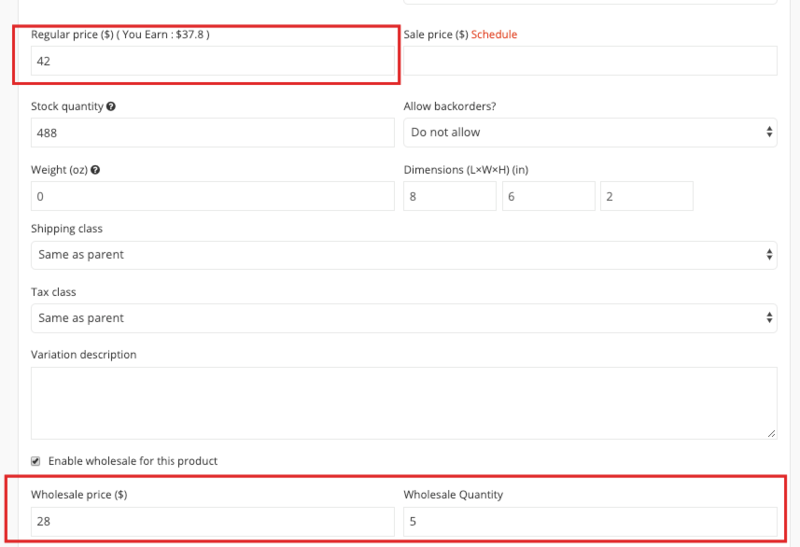 Display wholesale price to the wholesale customer only: When you turn this option on, only the wholesale customers of a vendor can view the wholesale price. 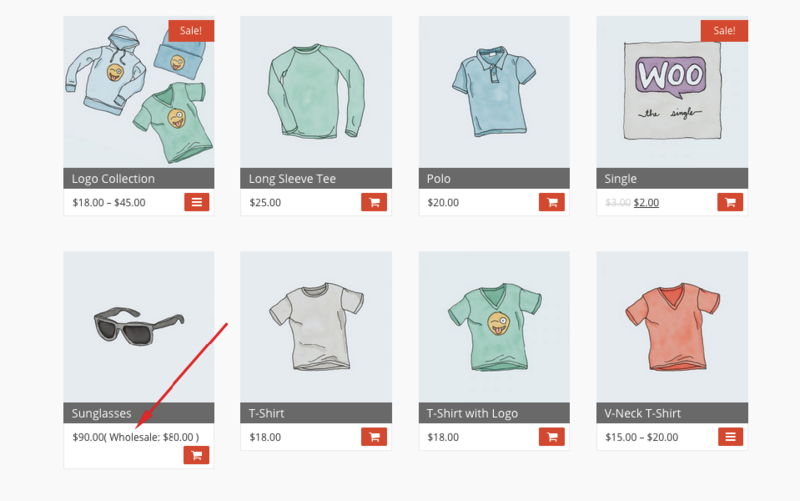 When you tick check this option, the wholesale price of a product will be shown from the vendor's shop archive. Unlike the variable products, this option only works for simple products. Here is a screenshot taken from the vendor's shop archive. If you enable this option by selecting ‘Yes‘, then you can moderate the customer's request on becoming a wholesale customer. 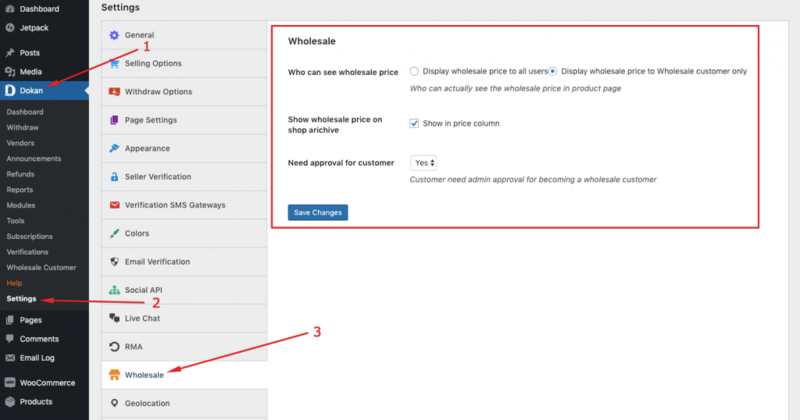 To get this option, navigate to the WP Admin Dashboard → Dokan → Wholesale Customers. 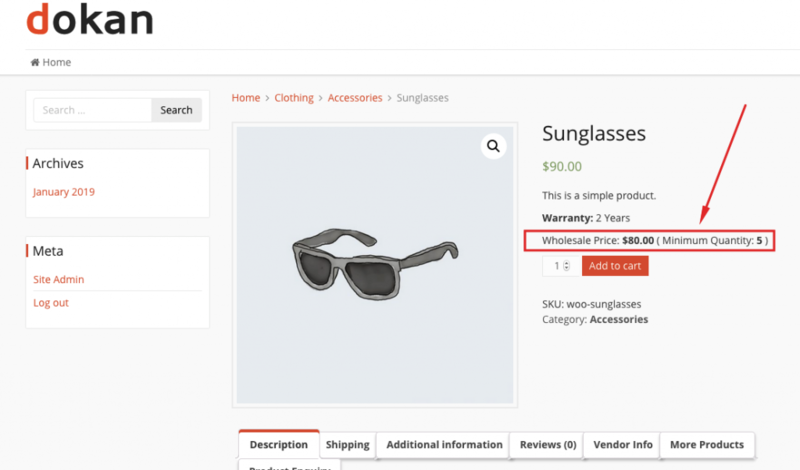 You can check and receive the customer's request on becoming a wholesaler from the wholesale customer menu. However, if the admin had set the “Need approval for customers” to ‘No' then the customer would automatically have become the wholesale customer. Meaning that the admin did not have to accept the wholesale request from the customer. The vendors can configure the wholesale pricing for the simple products and for the digital products as well. To set the wholesale price for a product, the vendors will have to go to the edit page of that product. To do so, the vendor has to navigate to the Vendor Dashboard → Products → Select a Product → Edit Product → Wholesale Options. 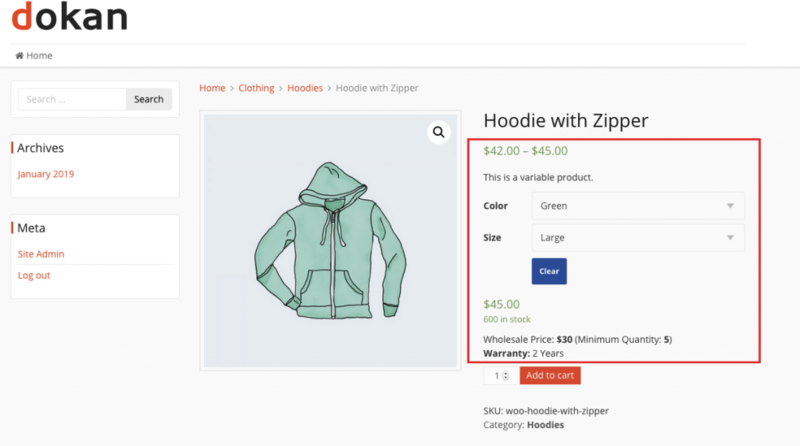 In order to use this option, the vendor must check the “Enable wholesale for this product“. After that, he or she has to set the “Wholesale Price” and the “Minimum Quantity for Wholesale“. If the vendor wants to set the “Wholesale Price” and the “Minimum Quantity for Wholesale” for a variable product then he or she must set them for each variation. Say, for example, the vendor may have a product with variations such as Large Green, Large Red, Small Green, Small Red etc. For configuring the Dokan Wholesale option for a new product the vendor has to go to the Dashboard/Vendor Dashboard → Products → Add New Product → Create Product → Wholesale Options → Check the Wholesale for this product. After enabling set the wholesale price and quantity. 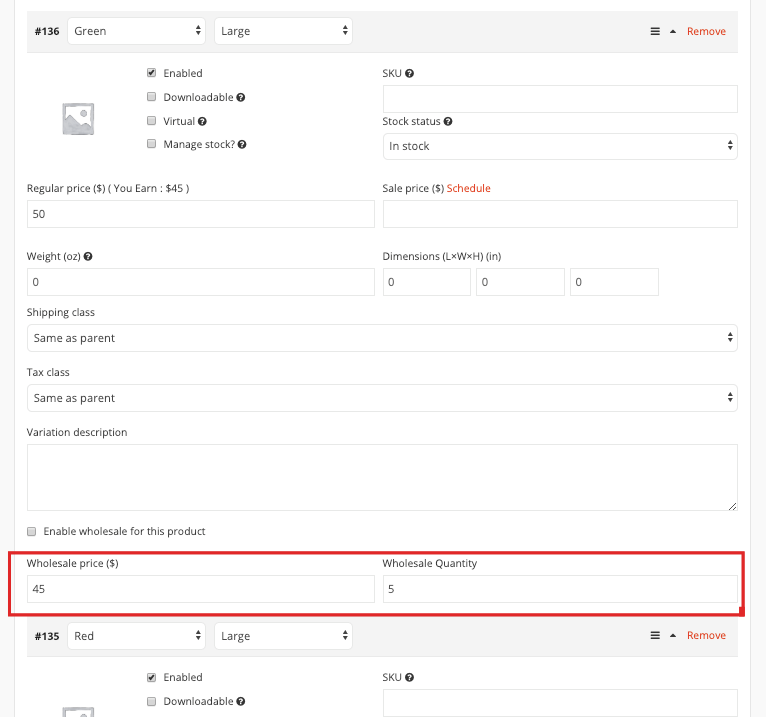 For configuring the Dokan Wholesale option for a new variable product the vendor has to go to the Dashboard/Vendor Dashboard → Products → Add New Product → Create Product → Create Variable Product → Wholesale Options → Check the Wholesale for this product. To apply for becoming a wholesale customer, a customer has to go to his/her my account page. and then apply for becoming a wholesale customer. Now, if you set the “Need approval for customer” to ‘No' then, this customer will automatically become a wholesale customer. Otherwise, the customer will have to wait for the admin approval. For a simple product, the customer will be able to see both the “Wholesale Price” and the “Minimum Quantity for Wholesale”. That's all about the “Dokan Wholesale” module.